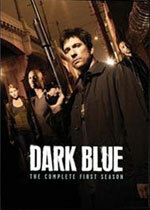 Dark Blue: Mystery and Suspense on Television. 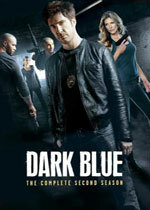 Dark Blue follows the lives of an undercover team of Los Angeles police officers so covert, many of their own colleagues don't even know they are involved. The team is supervised by Lieutenant Carter Shaw (Dylan McDermott), who frequently butts heads with his superiors over the risks the team is prepared to take to bring down a target. The series aired for two seasons on TNT.